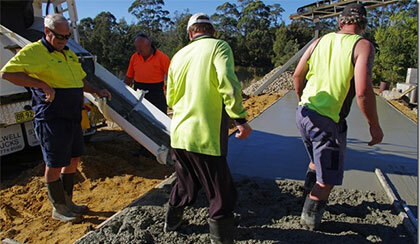 Coastal boasts the only Mini-Mix truck operating in the Eurobodalla Shire. The Hino Mini-Mix truck is very popular as it allows us to deliver to sites with difficult access and where larger, heavier trucks might impact on existing infrastructure. 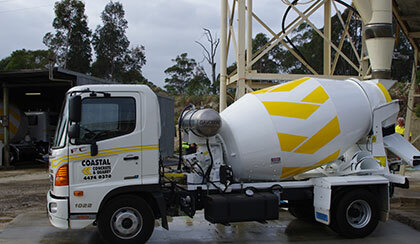 Contact Coastal to specify your preference for the mini-mix truck. Company Principal, Ray Brown, began his involvement with the concrete industry in the 1970s so has a wealth of experience and knowledge of concrete and quarrying products. Ray’s belief that management’s best position is in the field and not behind a desk, ensures that he always has his finger on the pulse with every load that leaves the plant. He likes to follow up on supply to ensure that Coastal's products measure up to the high standards he sets. Coastal constantly checks on customer satisfaction through feedback discussions with builders, layers, contractors and home handymen. Contact Ray for information or feedback. 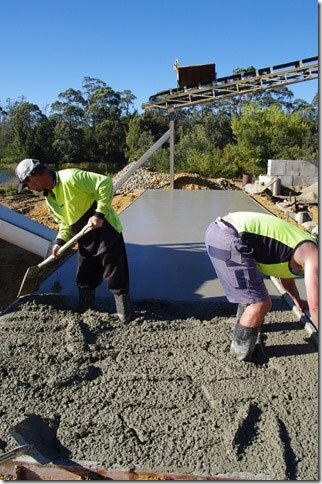 Coastal can recommend a concrete layer who is local to your area and who will be able to assist you with a quote for your project - whether large or small. Contact Coastal for a local layer.